These are strange times for Tony Chu, the cibopathic federal agent with the ability to get psychic impressions from the things he eats. Strange writing in extraterrestrial script has appeared in the skies of Planet Earth-and stayed there. People don't know if the end days are upon them or not, but they don't seem terribly concerned about the laws of the FDA, and what was once the most powerful law enforcement agency is rapidly descending into irrelevancy. So where does that leave the FDA best agent, Tony Chu? 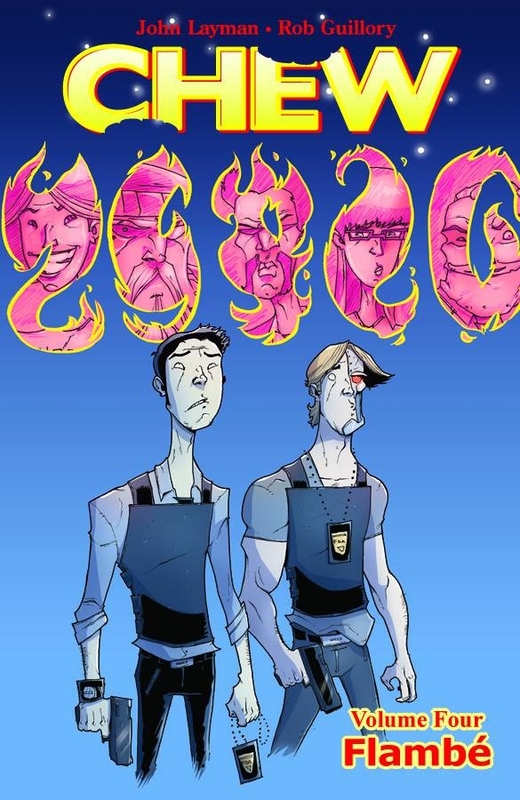 Presenting the fourth story arc of the Eisner and Harvey Award-winner series, as the twisted and darkly funny comic about cops, crooks, cooks, cannibals and clairvoyants takes a curious cosmic turn. 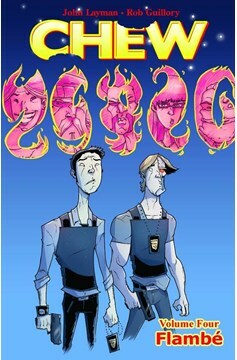 Collects CHEW #16-20..